I can't seem to get away from this issue. I was talking to two teenagers and one of them mentioned that his friend had his genealogy all the way "back to Adam." As usual, I didn't really have an appropriate response to that comment. I am wondering why this has almost become the hallmark of genealogy? Why do otherwise intelligent people accept such an unsupportable claim without question? Would the teenager been as impressed if his friend had claimed proof that the world was flat? Or hollow? As I thought about these issues I thought it would be interesting to examine the flaw in the entire concept. Exactly where do people move from supported research to fable and fiction? It is not my intention to examine or question the validity of Biblical pedigrees. I am focusing on time periods much closer to the present. For each researcher, the issue of continuing a pedigree into the realm of fable, arises at the exact point at which the researcher quits relying on his or her own research and begins copying others' pedigrees without questioning the validity or the sources. Obviously, some would-be genealogists start out by copying a file, either from some relative's GEDCOM or from an online family tree. It is not the copying process that is the problem, it is accepting the information without question or examination. In this context, when I question a potential researcher about the file they just copies, sometimes they will defend the copy as coming from some "very reliable" relative who has done genealogy all her life. To repeat, making the copy isn't the problem, but absent reliable sources, accepting the file as accurate is the problem. Anybody who had children more than a few hundred years ago is likely to have millions of descendants today, and quite a few famous ones. Interestingly, this claim is exactly the opposite of the issue of pedigree collapse. Due to the fact that the number of direct line ancestors we have grows exponentially (2, 4, 8, 16, 32 etc.) if we go back to about 1200 A.D. when the population of the world was around 400 million people (See Wikipedia: World population estimates) then the ancestors of one person would exceed the entire population of the world. Obviously, the number of ancestors is far less than the theoretical number. The reason is that in reality, people ended up marrying their cousins due to limited travel and proximity. For similar reasons, if all of the 400 million people alive in about 1200 had "millions of descendants" then there would be much greater population on the earth than there is now. So what does this have to do with pedigrees back to Adam? The point is that most of the arguments concerning relationship to European royalty are just that, arguments without any rational basis. But of course, somebody has to be related to royalty? Yes, the point is that at some point in the past, even "verified" royal pedigrees are not provable. Relation to royalty is one thing, claiming everyone is related to royalty or extending pedigrees back into antiquity are quite something else. So how far back can accurately verified pedigrees go? Various genealogies have been compiled for royal and noble lines. Some of these connect with the Bible genealogies which continue back to Adam and Eve. Although it may be reassuring to some to think they have connected their lines back to the earliest times, such compiled genealogies contain many errors. None of these genealogies have been proven. Some pedigrees include the names of various gods from which the earliest ancestors of their peoples supposedly descend and which come from early folk tales or mythology. It is practically impossible to separate the fact from the fiction. At this time it is not possible to document a lineage back to Adam. Let me explain. In thirty-five years of genealogical research, I have yet to see a pedigree back to Adam that can be documented. By assignment, I have reviewed hundreds of pedigrees over the years. I have not found one where each connection on the pedigree can be justified by evidence from contemporary documents. In my opinion it is not even possible to verify historically a connected European pedigree earlier than the time of the Merovingian Kings (c. A.D. 450–A.D. 752). The key here is contemporary documents. If you want to argue with me, please send me copies of the pertinent "contemporary documents" proving your pedigree back past the Merovingian Kings. In fact, I have never met anyone making the claim to an ancient pedigree that could read the old languages or had done any original research. The most dramatic technological impact on genealogical research has been the rather complicated process of digitizing records and providing them online either free or for subscription. A byproduct of this process has been the monetization of those same records. Access to records, public or private, has always been an issue for researchers whether they were genealogists or had other interests. 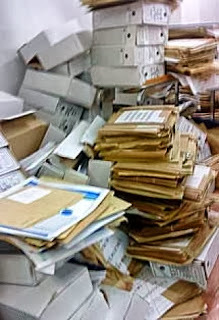 The classic image of piles of boxes stored in a basement is not far from the way many records have been maintained over the years. The numbers of records available online is steadily increasing with both local and national digitizing efforts going on day and night around the world. 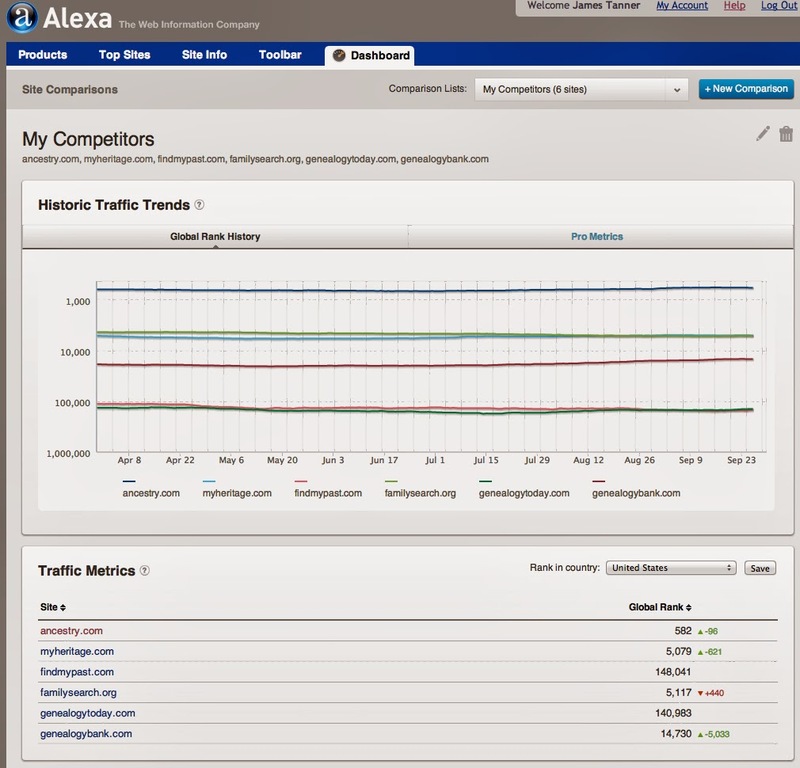 Increased communications methods and new computer-based devices add to the ability of researchers to view the records almost anytime in anyplace. I view the availability of records as the driving force underlying all of the other changes to the genealogical community. Without computers and the Internet, genealogy would be in essentially the same condition it has been for the past 200 years. With those tools, genealogical research has become a pursuit open to anyone who owns a computer with a network connection. Notwithstanding the number of records that remain undigitized, there is a corpus of records already available that creates an immense opportunity for many to connect with their ancestors in a way never previously available. The tide has already turned and there is no stopping the digitization of records. Eventually, so many records will become available, that even more obscure and local records will get sucked into the black hole of record gathering. This is an area where even the best predictions will probably fall way short of the coming reality. Many people see the monetization of these records as a problem. I see this merely as a natural consequence of the cost of acquisition and maintenance. The advantage of monetization is that scenes, such as the image above with piles of records, will become less likely. As governments and other record keepers come to understand that their records are an asset, there will be a greater incentive to maintain the records in a manner that they can be easily digitized, if the original records are not already being kept in digital files. As the online records from around the world continue to accumulate at an increasing speed, the concept of genealogical resources will change. The fundamental change will be a democratization of the availability of source records. In the past, researchers, especially academic researchers, have been an elite cadre of highly educated people, separated from the majority by educational opportunities and interests. As the resources for research become readily available to anyone who is even marginally interested, the elite will evolve into an entirely different makeup. Essentially, the elite become those possessing the computer skills first and the research skills second. But the most significant change will be the loss of the need to be academically connected in order to obtain access to the resources. Much of the world's knowledge and a considerable amount of the genealogical information has been previously maintained in semi-closed cloisters essentially available only to the academic community. Those resources are being liberated from the control of the academics but not without a considerable amount of opposition from those in control. Even the university special collections are slowly being opened up to the general online community, albeit at a much slower rate than other records. This resistance to making the records available can be seen when the academic institutions pitifully claim "copyright" or reproduction rights to the records they maintain in a feeble attempt to prevent the changes I am talking about. The overall pressure to make these records available is irresistible and even the most guarded records will eventually become available to researchers who have long been excluded from their examination. Another factor in the process of making genealogical records freely available or by subscription is the natural tendency for governments to preserve their state secrets even when the only interest they have in doing so is to protect their own interests from their own constituency. There is a real issue as to whether the whole structure of the Internet and the Web can maintain the free flow of information when faced with attacks from governments and other organizations around the world. A very local, but significant example has been going on for the last couple of years as the U.S. Legislature wrangles over access to the U.S. Social Security Death Index (SSDI). Various interests have used the SSDI as a political football to be kicked back and forth to support one agenda or another. In fact, one of the arguments in favor of limiting access to this record has been the free availability of the information to genealogists. Well, governments will continue to be involved in all aspects of the record keeping and availability process and there will always be a conflict between those wanting to see and use the records and those wanting to keep them private for their own purposes whether it be governmental or academic. In summary, technology and the societal changes caused by the technological changes are having a huge impact on genealogy today and will have in the future. Some trends can be seen and predicted but others will likely occurs in areas and is ways entirely different than anyone now can predict. I am sure I will have more to say on this subject in the future. As usual, stay tuned. One of the more dramatic changes in the overall genealogical community has been the proliferation of genealogy conferences. The number of local and national conferences in all parts of the country has skyrocketed. The big conferences continue to draw participants while the smaller conferences multiply. But what is even more dramatic is the explosion of Webinars and Webcasts. I expect that you could attend a conference or a webinar every week for an entire year if you wanted to do so and had the time and money necessary. One example of what is coming in the near future, is the call by RootsTech 2014 to have 600 satellite conferences throughout the world; more than ten a week even if they were spread out evenly over an entire year. It is true that the vast majority of these conferences are local affairs with perhaps a hundred participants or so in attendance; but the large number raises a question as to whether the increase is due to an increased interest in genealogy and greater public participation or simply a response to the increase in conferences? The concern is that the increase is in the nature of a "bubble." Is there really a demand for so many conferences? Do we need to start changing the way conferences are conducted to continue to attract participants? One of the effects I observed during the currently ongoing economic downturn, was that many of vendors who attended conferences in the past had disappeared. They were either purchased outright by other vendors or had gone out of business. Some of the smaller conferences that had attracted large commercial vendors, have been left without participation by the major genealogy companies. Some of the largest companies have stopped supporting smaller conferences altogether. Since the very small conferences rely mainly on club or society dues and a smaller or no entrance fee, they have not been impacted by the decrease in vendor support. In many cases, the conferences are put on entirely by volunteers at a location such as a church or clubhouse that does not add overhead to the conference. On the other end of the spectrum, the very large conferences in major venues are being forced to grow even larger to maintain the increasing costs of holding a conference. I predict that we will see the larger conferences either moving to smaller venues with less "big city" overhead or consolidating as is being done with the RootsTech 2015 unified conference with the Federation of Genealogical Societies (FGS) Conference. It looks like, for the present, the number of conferences, webinars, webcasts and similar activities will continue to expand. It will be interesting to see how many of the medium-sized conferences will either lose out to the "free" competition or change to another format. If there is one area of genealogy that I see floundering, it is societies and clubs. There are a few notable exceptions but the atmosphere for societies is rapidly changing and from my perspective the societies are not changing rapidly enough to survive. Percentage wise, few of the societies have a vibrant online presence and their functions are being rapidly undermined by social networking. In Arizona, for example, the local societies have abandoned most of the traditional activities that used to attract new members. Instead, they have become ingrown groups of individuals with little contact to the active online world. Now, in saying this, I fully expect that I will receive dozens or more comments from members of societies that will claim that their society is growing and vibrant. Please note that I did not say that all societies fell into this category but that the majority were struggling with the changes in the genealogical community. I would expect societies, as they are traditionally constituted, will disappear at an increasing rate unless they can come up with a way to become technologically relevant and attractive to new members. How are the genealogical oriented businesses doing? I already pointed out that the very large international companies seem to be holding their own and growing. But what about the small, individually owned businesses? As I observe above, they are suffering along with other small businesses in the present economic environment. From time to time, I see new businesses announced but genealogy per se confers no protection to a small business and they are subject to the same failure rate as small businesses generally. As far as the big businesses are concerned, they will keep getting bigger and absorb more of the smaller companies, especially those with databases of records or innovative technology. There is always the possibility that another big company will appear to give some competition to the big four, but that is not as likely now as it was a few years ago. I guess I still have a few more subjects to cover, so here is what is left to come in the last installment. One of the most dramatic increases in genealogical activity seems to be occurring online with social networking sites. Some of the bloggers have seemingly transitioned to making most of their comments and contributing information through Google+ and Facebook. I don't see this as an abandonment of the blog format but merely an augmentation of the already significant growth in Internet activity. Has genealogical activity on the Internet increased over the past year or years? This is an interesting question to try to answer. In March of 2008, Randy Seaver addresses the issue of Commercial Genealogy Site Statistics in a post. At least one of the websites he used as an example, Footnote.com, has now been acquired by Ancestry.com and become Fold3.com. He also used WorldVitalRecods.com as an example and significantly did not mention MyHeritage.com. Since 2008, MyHeritage.com has grown rapidly and acquired WorldVitalRecods.com. 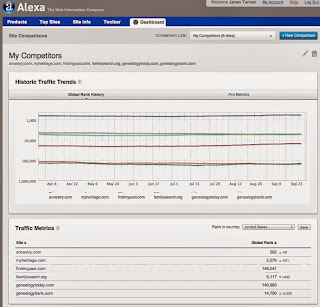 So the online landscape has changed, in some ways significantly, in the past five years. What this means is that, in my opinion, genealogy is holding its own online and may be picking up some steam. I thought it would be a good time to step back and take a look at the overall genealogical community and give a "state of the union" type assessment what is happening, both good and not-so-good. I fully realize that those who give state of the union type messages are usually "very important people" such as presidents, governors and CEOs, but none of those really exist for genealogy and since we have a fairly egalitarian community, I figured that even a lowly blogger could probably give such an assessment as well as anyone else. The main question that arises in the context of looking at an overview is who or what am I overviewing? Who or what makes up the genealogical community? I think I will skip that question for now, since I am still embroiled in that controversy from past posts. In the past, I have focused on the large, commercial genealogical online companies and talked about ownership and acquisitions. What they do, both individually and collectively, has a significant impact on the entire genealogical community, but I think that focusing only on their activities is very nearsighted. In thinking about the subject, I decided to start locally and move out to the international scene. So here it goes. My local perspective comes from day-to-day working in the Mesa FamilySearch Library located in Mesa, Arizona. Over the past year, we have seen some significant changes. I continue to see people come to the Library daily beginning their activities in researching their families. We have seen a steady growth in the numbers of those coming to the Library and in some areas, that growth has been significant. Classes that used to have four or five people, now attract fifty or more. In the past year or so, we have added the ability to broadcast Webinars and have accumulated a significant library of past Webcasts on our website. The effect of having Webinars and Webcasts is that hundreds and into the thousands of people have heard our instructors first hand that probably have never even been to the Library. We have also upgraded a lot of our electronic equipment and have steadily increased our online activities. Through classes and tours, we weekly have large and small groups coming to the Library to learn about researching their families. All in all the Library is well and growing in its reach. We are planning a significant Genealogy Conference planned for October 26th. I will have more to say about conferences later in this post. The real question is whether or not the experience of the Mesa FamilySearch Library in experiencing an increase in interest is typical of the overall activity in the other 4500+ FamilySearch Centers around the world, or is the growth due to local promotion of the Library? My guess is that there has been an increase in any of the Centers around the world who have taken the time and made the effort to involve the community and increase their involvement in technology. Those who have ignored both the increase in technology and have been stagnant in their involvement in the greater genealogical community have probably seen no significant increase in activity and may have seen a decrease. From a blogging and social networking standpoint, I see a constantly growing interest in using the Web to promote genealogy and connect with other genealogists around the world. My impression is that the online community continues to grow and is very active. The difficulty in looking at any activity on the Internet is separating out an increase in any specific area of interest such as genealogy from the general increase in all kinds of online activities. Do we see more people involved in genealogy online simply because there are more people online? Or do we actually see an increase of interest in genealogy that is translated into an increase in online activity? The question of whether or not the online part of the genealogical community is growing faster than the overall interest in online activities generally, probably cannot accurately be determined. We had an interesting experience this past week or so at the Mesa FamilySearch Library. My wife was helping a patron who came to the United States from Denmark over 50 years ago. She had lost contact with her family remaining in Denmark but had just recently started putting her family tree on MyHeritage.com. She came into the Library for help with MyHeritage.com and since my wife has used the program for some time, she was asked to help her. My wife helped her find and enter some relatives but the patron was so new to computers and did not have one of her own, she had limited access to her email address. In working with MyHeritage.com, the patron saw a SmartMatch for a cousin who still lived in Denmark. Since she did not have access to a computer, my wife volunteered to see if she could contact the cousin. When she got home, she sent the cousin an email and within a day or two received an excited response from the cousin in Denmark. After a few days, my wife was able to make contact with the patron again and give her the response from the cousin in Denmark. Within a short time afterwards, the patron and the cousin were reunited online. They were both excited about the contact after more than fifty years' absence from Denmark. This type of response is not something we see every day, but I am certain, with the vast number of people in Europe and the rest of the world on MyHeritage.com and the ability to translate the messages on Google Translate, many people are probably reacquainting themselves with there relatives in the "Old Country" every day. Just thought I would pass this along as a success story for MyHeritage.com. If you have been reading my blog posts, you very well know my attitude about online family trees. But this is really a dramatic example of how the family trees, despite any of their inherent limitations, can assist in unifying families. 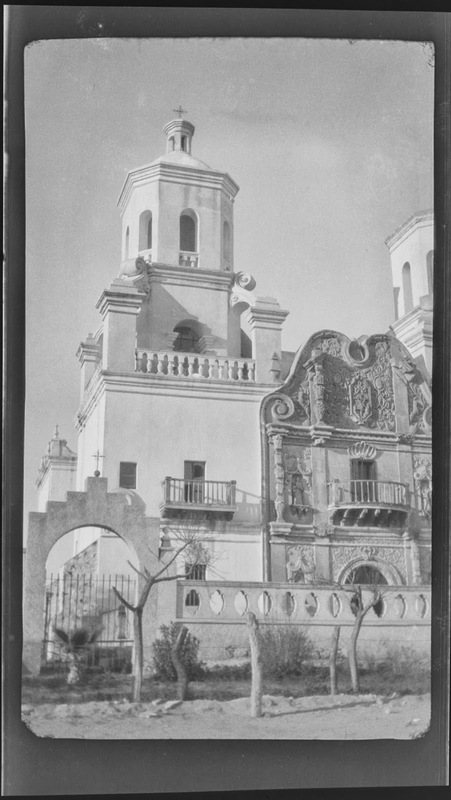 "México, Durango, registros parroquiales y diocesanos, 1604-1985," images, FamilySearch (https://familysearch.org/pal:/MM9.3.1/TH-266-11010-153505-87?cc=1554576&wc=M99K-SVZ:1059630575 : accessed 28 Sep 2013), Mexico, Durango, Catholic Church Records, 1604-1985 > Mexico, Durango, Catholic Church Records, 1604-1985 > Durango > San Juan Bautista de Analco > Matrimonios 1862-1881 > image 300 of 474. The Western European version of the nuclear family consists of a mother and a father living with their children living with their children. This view of families is fundamental in many ways and is supported by religious, social and political laws and regulations. What I say in this post should not in any way be construed as a reflection on my own personal beliefs about families. However, because of my background in anthropology and linguistics, I am aware of that the European model of the family unit is only one of many such lineage and kinship systems around the world. Currently popular genealogical database programs focus primarily on the biological core family unit, often to the exclusion of other important and genealogically significant kinship relationships. I am not advocating any radical change in the way biological family units are either generally considered or recorded, but I am suggesting that there is a lot more information out there about families that is lost either because of lack of awareness or knowledge on the part of the genealogists or for the much simpler reason that there is no convenient way to record the information. In some cases, the language used by the genealogist lacks words to describe those kinship relationships. A kinship relationship or system is defined as a system that encompasses all of the blood and marriage relationships that distinguish among different categories of kin, create rights and obligations among kin and serve as basis for the formation of certain types of kin groups. 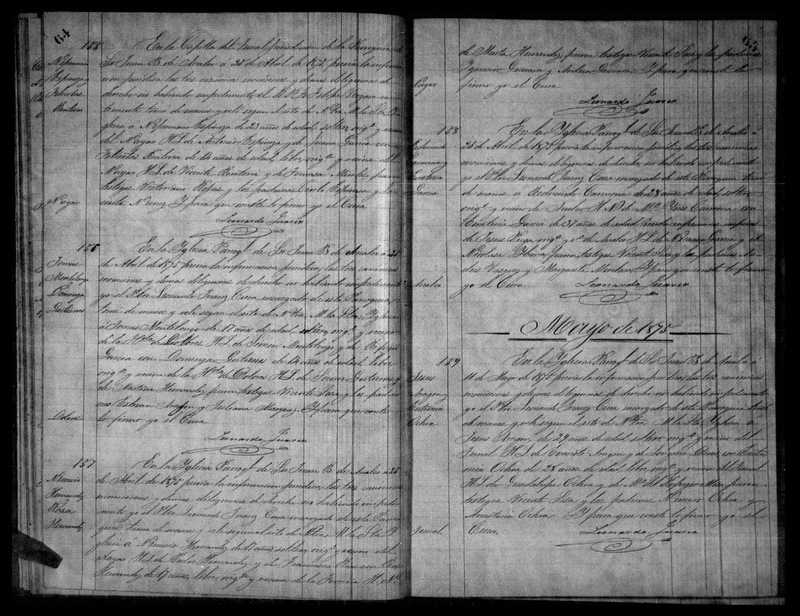 Let me give a simple example from the Parish Register shown above from Durango, Durango, Mexico. The entries in this particular register are formulaic. Every entry contains almost exactly the same information, in the same words for each individual marriage. However, some of the changes in wording from record to record are significant and reflect various rules and traditions of the Catholic Church. Without going into an extensive analysis, I would point out that, normally, the entries always contain a reference to the "testigos" or witnesses. In most cases, these witnesses are the godparents or other relatives of one or the other of the couple getting married. If we refer back to a baptismal record for the same individuals (which I cannot do here for the couple above without extensive research) we will find that it is possible that these same "godparents" were present at the baptism. Even if the witnesses to the marriage are not godparents, they are usually related in some way and recording their presence at the marriage ceremony is important to understanding and extending the family lines. 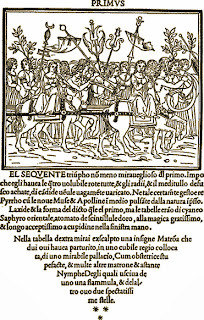 An important set of kinship practices in Roman Catholic Latin America is compadrazgo, or ritual coparenthood. The baptism of a child requires the presence of a godmother and a godfather as sponsors. By participating in this ritual, the sponsors become the ritual coparents of the child. In Latin America, godparents are expected to take an active interest in their godchildren and to help them whenever possible. However, the more important relationship is between the godparents and the parents. They become compadres ("coparents"), and they are expected to behave toward each other in new ways. The ramifications of the practice are much more extensive than covered in this brief summary and vary from country to country. My point here is that this important kinship relationship is entirely ignored by those who do not understand it. There is no convenient way to preserve this information in the most popular genealogical database programs unless the researcher has a deep understanding of the practice and preserves the information in notes or custom fields. Even then, there is usually no way to show those relationships on the standard pedigree chart format commonly used for online family trees and extensively reproduced in paper form. This is just one small example of what I am talking about. Even within the United States we have a variety of kinship structures that govern the way people live and die as well as govern the way they interact with their family and other relatives. Even within the standard Western European nuclear family, we have variations in kinship relationships that seriously modify the traditional model. I am in no way passing any judgment on the validity of one kinship system over another, I am merely pointing out that our conventional way of recording genealogical data ignores many (if not most) of these relationships. I would suggest that many of the puzzling and seemingly inexplicable family relationships we encounter are merely a reflection of our lack of knowledge of kinship systems. Is Genealogy now in the Mainstream? Best, Joel. Damned Lies and Statistics: Untangling Numbers from the Media, Politicians, and Activists. Berkeley: University of California Press, 2001. A market research firm, Global Industry Analysts, says there are more than 80 million professional and amateur genealogists around the world. It projects the market for genealogy products and services will reach $4.3 billion by 2018, nearly double from last year. Genealogical enthusiasts are spending between US$1000 to US$18000 a year to discover his or her roots. The growth of the genealogy research market is being spurred by the spending of over 84 million genealogists. Emerging trends, such as male adoptees using consumer DNA tests to discover their surname, are expected to further promote growth of this industry. In January 2009, the number of individuals undergoing genetic genealogy testing to ascertain their lineage reached almost 765,000, displaying a considerable increase from nearly 650,000 individuals taking the test as of November 2007. 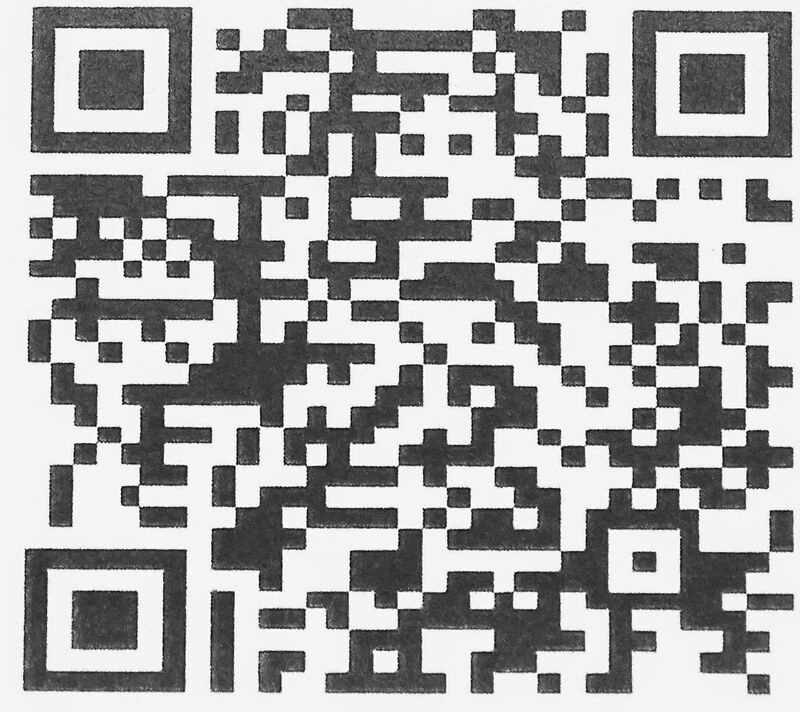 The links are to copies of the reports which cost $1,450 each. Market research companies do not make money by telling people that the market is not large and is not growing. You can probably tell by now that I am highly skeptical of these kinds of reports. Especially where the analysts are making money selling their projections. Is there some way to determine whether or not some or all of the claims made in this paragraph and quoted in the newsletter from the Voice of America are even reasonably possible? Let's examine the claim to 84 million genealogists (laying aside for a minute the issue of defining a genealogist). Here are some facts from websites about genealogically related companies etc. Ancestry.com has approximately 2.7 million worldwide subscribers across their family history sites. Remember they have quite a number of different sites. MyHeritage.com has more than 75 million members. If MyHeritage.com's members are all considered genealogists, then the number of 80 million is easily supportable. We don't have to much further to find support other than to multiply the combined number of users of the two websites by their annual subscription rate to see how much money is rolling into the genealogical community. Even with approximate billings estimated, the news article and the study have vastly under-estimated the genealogical community. If you figure in the amount spent by FamilySearch.org, findmypast.com and many, many other websites, genealogy is a vastly larger business than shown by the analysts. In fact, if the estimates in the article were even mathematically consistent the figures would be wrong. For example, if all of the 84 million genealogical enthusiasts were spending only $1000 apiece, that would be 1000 x 84,000,000 or $84 billion dollars. Americans spend $110 billion a year on fast food. Think of the rest of the world. 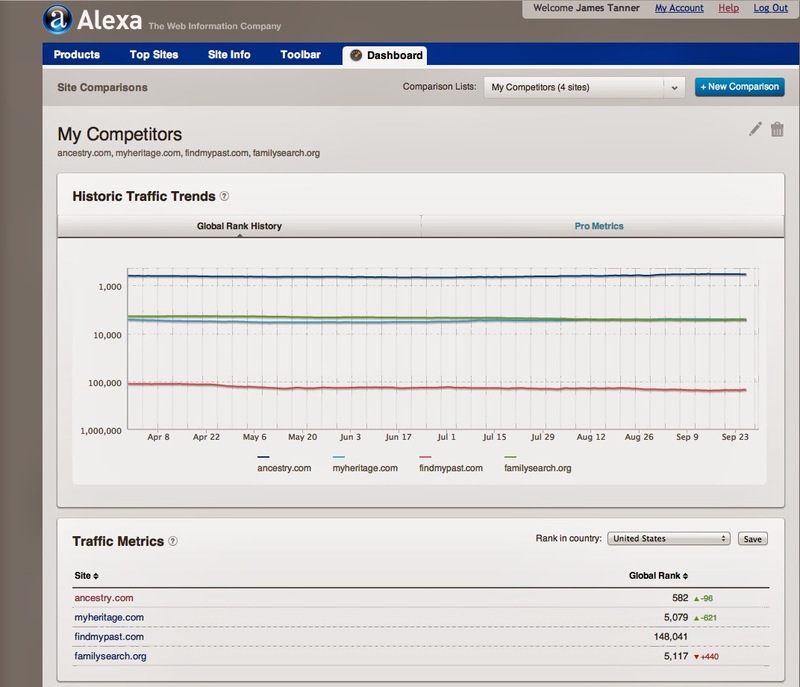 In 2010 Internet advertising spending was over $26 billion. Well, I could go on and on. But the point is that genealogy is a big business and certainly in the mainstream, but the guys who made the claims cited in the article are probably a little off the mark. Some forms of cyberphobia may range from the more passive forms of technophobia of those who are indifferent toward cyberspace to the responses of those who see digital technology as a medium of intrusive surveillance; more extreme responses may involve anti-technological paranoia expressed by social movements that radically oppose ‘technological society’ and ‘the New World Order. I wish this were a condition that was made up or created for the purpose of selling something but it is a real problem that impedes many genealogists from acquiring the skills necessary to use computers in their research. I have noticed that in some cases, the fear is sometimes enabled by relatives who "take over" whenever the the symptoms appear in a mother or father. By the way, it doesn't help to tell a person with cyberphobia to go look up a solution to the problem on Google. I have had a pretty good exposure to phobias in my lifetime with relatives who lived their whole lives without learning to swim because of a fear of water, relatives who never flew in an airplane because of fear and many other examples. Unfortunately, I also have had relatives who had cyberphobia. One thing I do know, telling the person that there is really no reason for their fear doesn't work at all. The fearful person has to personally decide that the benefits of overcoming the fear, outweigh the fear itself. Surprisingly, there are very few serious articles on this subject on the Web. The vast majority of the sites encountered by searching on "cyberphobia" are either selling some assumed treatment or merely commenting on the issue in a very superficial way. What I did find online was a lot of general references to "the professional literature" on the subject, but no specific references. Many of the articles make very general claims attributing cyberphobia to age or economic status, rather than looking at the individual reasons that people may have for being afraid. In addition, finding sources about the subject that treat it in a professional, sympathetic and supportive way is very difficult. Overcoming this type of fear is not as simple as just taking a class or sitting down for an hour or two with a willing relative. My personal frustration with this issue is that I am not afforded either the opportunity or the time to really help the many people I encounter. I have quite a few acquaintances who have this difficulty, but are unwilling to spend the time or effort necessary to overcome it. It is likely that such reactions come from embarrassment and the anxiety associated with the fear. But in those few cases where I have been allowed to spend the time talking with and helping people, I have seen some dramatic results. Genealogy is an area that is particularly susceptible to this problem due to the collision of the traditional paper and pencil methods of working and the newer methods involving intense computer use. I can almost predict with confidence that when I go to the Library today, I will encounter yet another person who is terrified of computers and needs help in doing simple tasks. I am also certain that in many cases, with patience and support, most of these fears can be allayed. When I was working on digitizing the 13,110 records in the Arizona, Maricopa, Mesa City Cemetery Records, 1885-1960. Day after day as I sat in the office scanning documents, I began reading all the records. It still makes my heart heavy to have seen all the babies and young children buried in the cemetery, many without a grave marker and likely with no other record on the earth of their short life. 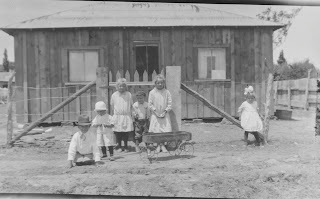 If they had not been buried in the Mesa City Cemetery, it is almost certain that there would have been no record at all. How many children have been born and died young in our ancestral families? How many have been forgotten and go unrecorded simply because we have failed to search a little further into unconventional records? How do we know if all of the children in a family have been accounted for? The answer may be a simple as looking at the pattern of the ages of the children. Any sizable gap may indicate a loss of a child. In many cultures, two children with the same name probably indicates that the first one born died and a succeeding child was given the same name. But in some cases, the only records of the birth and death of a child are in less used sources; diaries, letters, Bibles, church records, newspapers etc. I suggest that cemetery records, those pertaining to the purchase of grave sites may be another window into the loss of children in a family. Relying on periodic census records to constitute a family may become a contributing factor to missing young children who were born and died between the census records. In some of the U.S. Census records, the number of children born to a mother was listed and the number still living also listed. If the numbers do not agree, there is a reason to search further. Searching death records is only partially productive in this regard. There may never have been a formal death certificate made for the death of a very young child for a variety of reasons. There may have been no opportunity for a doctor to be called. The family would not have automatically involved a mortuary or funeral service. No funeral may have been held and the body may have been prepared for burial by the family or friends and buried almost without ceremony. Depending on the economic circumstances of the family, the cost of the burial may have been paid for by relatives or even the local church. As I went through the records at the Mesa Cemetery, one by one, I found a considerable number where the grave site had been purchased by local church leaders arguably because the family could not afford the $5 or $10 for the grave. In my own genealogical records, I find evidence that there are missing children. In one case, there is a story of a stillborn infant passed on by oral tradition, but no additional evidence has ever been found. The challenge of the term "stillborn" is that it was applied not only to those children who were actually dead when they were born, but in some cases, applied to children born alive who died shortly after birth. During the next few weeks and months I will be posting regular selections of the photos. 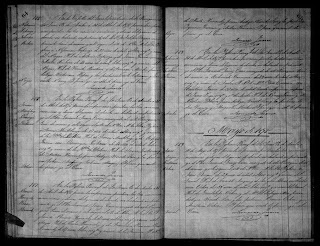 I had a patron recently in the Mesa FamilySearch Library that came in with Bounty Land Warrant from the War of 1812. 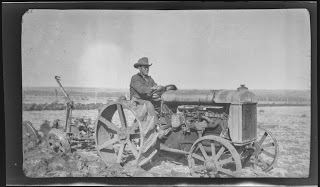 What was unusual about this particular land grant was that the patron's ancestor had received the Warrant from a District Court probate ruling in the State of Utah in 1870 awarding the ancestor 160 acres of land in Utah. I had to read the Warrant document three times before I could figure out what had happened. Two hours or so later, we finally figured out how all this could have happened. Then, my daughter Amy published a copy of a land transaction in a post entitled, George Jarvis Files the Claim to His City Lot." As Amy says in her post, "All the townspeople had to file claim to their lots with the government. George Jarvis did so on June 5, 1871." This is interesting because the Jarvis family arrived in St. George, Utah in December of 1861. Why was he filing a claim for his land in 1871? As usual, to understand these apparent anomalies, you have to go back through the history of land transfers, both in conjunction with the War of 1812 Bounty Land Warrants and with the subsequent history of land transactions in Utah. The solution is interesting but not simple. Bounty Land was issued to non-commissioned officers and soldiers who served for at least 5 years. The first act issuing land was passed on the 24th of December 1811. All warrantees received 160 acres. A second series of warrants related to soldiers who enlisted after December 1814. The second series of warrants was for 320 acres of land. The land was located in one of three districts in Arkansas, Illinois or Missouri. Prior to 1842 the warrants could not be used outside these three districts and could not be sold or assigned until after 1852. The warrants could be passed on to heirs through inheritance. Some of the warrants list the name of the heirs and their relationship to the deceased veteran. The last warrant was issued in 1858. The question presented by the patron's document was that the Bounty Land Warrant ended up with a probate case in Utah and a grant of 160 acres in Utah almost 60 years after the passage of the law. After some additional research, I discovered that many of the Bounty Land Warrants were not issued until sometimes 30 0r 40 years after the War of 1812. One important fact is that the land warrants became the basis of speculation. Here is an explanation from the Ancestry.com Wiki article, "Military Bound Land:"
The warrant market was big business, especially when warrants were no longer restricted to military reserve lands (this happened under an act in 1842). Major brokerage firms dealt extensively in warrants, buying in the eastern states and selling to western land brokers and settlers. Financial newspapers in the boom years of the 1850s frequently carried price quotations. The government set a price ceiling from 1820 by charging a flat $1.25 per acre for most of its lands. The average market price peaked at about $1.20 an acre in 1854–55 for 160-acre warrants, just before the market was flooded by the act of 1855.57 More warrants were used in Iowa than in any other state, and it is estimated that half of Iowa was purchased with bounty-land warrants. In 1832, entries in the district were ended, and those still holding warrants were allowed to trade them for scrip negotiable at GLO land offices in Ohio, Indiana, and Illinois. From 1842, such scrip was accepted at any GLO land office. Now we know how the land warrant could have made its way to Utah. Likely, due to the probate, the original owners had died and the warrant because an asset of the estate and sold out through the probate action. This is likely because the transfer comes from the Administrator of the Estate of the original owners (or a subsequent owner who was not identified). But why 1870? Federal land surveys began in 1855. The first General Land Office to sell lands in the public domain in Salt Lake City was established in 1869. Other offices were located in Beaver (1876-77) and Vernal (1905-27). 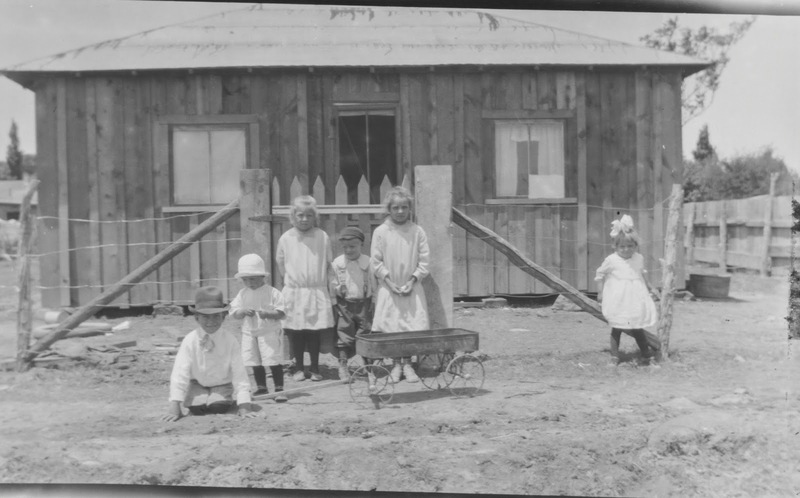 Land was available through the land offices to individuals (entrymen) who paid a down payment (cash entry) for a piece of property or to homesteaders who paid a small entry fee. 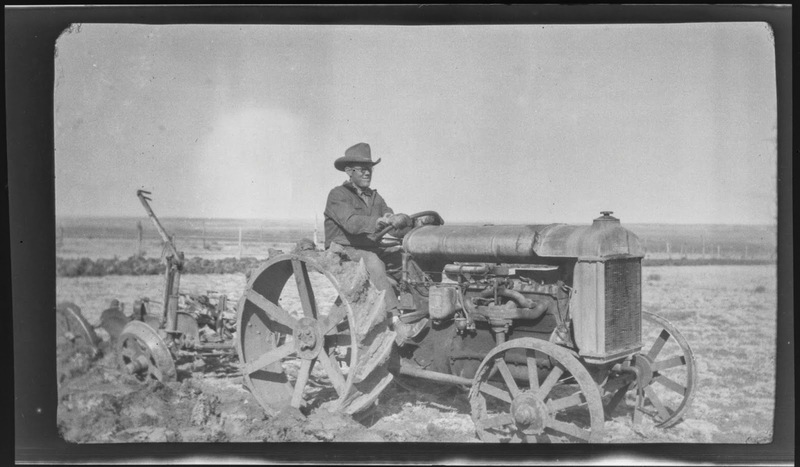 Any land transfers that occurred prior to 1869 had to be redone through the General Land Office. This is the reason why the George Jarvis land transaction was done in 1871. This is also likely the reason why the War of 1812 Land Warrant was used to purchase 160 acres in Utah in 1870. Whenever you see a document that does not seem to fit the facts, it is time to dig into the history. Credit to John Denver for the idea in the title of this post even if my words are not an exact quote. See Wikipedia:Rocky Mountain High. The whole subject of genealogy and/or family history is wrapped up in our emotional responses to our own personal experiences and those of our ancestors. In a real sense, investigating one's own past and those of one's ancestors is a way of discovering who we are and how we relate to our world experiences. In this context, our home is the place where we feel most comfortable and where we really belong. One of the things in the not too distant past that sparked a surge in interest in family history was the book and TV series, Roots by Alex Haley (Haley, Alex. Roots. Garden City, N.Y.: Doubleday, 1976). In a real sense, the whole Roots story is about going home to a place you have never been. The concept of a "home" or even a "homeland" is complex. For example, when people ask me where I come from, I always say a little town in Eastern Arizona, even though I was actually born in Utah. Now why is home the small town rather than acknowledging the State of Utah? Could it be that most of my ancestors, back three or four generations lived in Arizona? For me, home is Arizona, not Utah, even though I lived in Utah for years. I can still remember the specific point in time when I realized that Utah was not my home. Literally, home is where the heart is, no matter how trite that may sound. Interestingly, with an ancestral connection, many places have felt like home, even places I was visiting for the first time. I think this emotional involvement with our ancestors and our ancestral homes is one of the most powerful motivating factors in genealogy. I find it sad when people approach genealogy as if it were happening to someone else. They gather names, but they never go home. Their knowledge of their ancestors is so superficial that they do not give themselves a chance to go to where their ancestors lived and feel the emotion of coming home. I think the whole idea of promoting stories and photos is an attempt to create this feeling of belonging and going home. I have always been a little skeptical about the idea that as people become involved in the stories and the photos, they will somehow be captured into doing genealogy, that is, searching out their family history in a systematic and organized way. Wouldn't it be more reasonable to expect that those who were investigating their families would find the emotional connection with those they were investigating. Maybe I came at this whole genealogy thing backwards. I heard the stories and saw the photos when I was young, but it was not until I had years of experience doing research on my family that the emotional side took over and I began to have that feeling of going home. In this sense, I strongly disagree with the phrase made popular by the Thomas Wolfe novel, "You Can't Go Home Again." (See Wolfe, Thomas. You Can't Go Home Again. Dell, 1934 of over 200 editions). To me, the phrase that has come to mean that you cannot connect with a previous way of life is basically a lie. Although it may not be possible to entirely recapture the earlier physical aspects of your life or that of your ancestors, you can certainly relate to the joys and sorrows of the past. In a real sense, the validation of searching out your ancestors is this ability to recapture the emotional content of the past. By actually visiting some of the places, although they may have changed dramatically, those feelings of belonging and home come to life. I sometimes wonder if there is any quantifiable information tying familiarity with ancestral photos and stories to subsequent interest in genealogy. I can remember being preoccupied with names and dates and places until the stories I had heard all along started to take over from the bare research. I recently was looking at some old photographs, taken in my early childhood, and I was almost overcome with the emotions those simple photographs evoked. My response is more affirmative than Thomas Wolfe or any novelist, yes, you can go home again. Yes, you can connect with your own past and the past experiences of your ancestors. But you should not be satisfied with the hors d'oeuvres of partially remembered stories or edited photographs. To really return home, you need to become immersed in the reality of your ancestors' lives and your own. 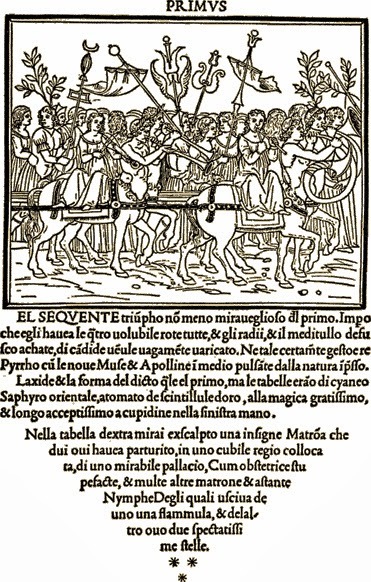 The leading publisher and printer of the Venetian High Renaissance, Aldus set up a definite scheme of book design, produced the first italic type, introduced small and handy pocket editions (octavos) of the classics, and applied several innovations in binding technique and design for use on a broad scheme. He commissioned Francesco Griffo to cut a slanted type known today as italic. 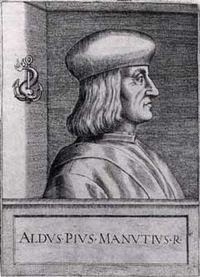 He and his grandson Aldus Manutius, the Younger, also a printer, are credited with introducing a standardized system of punctuation. OK, we are back to the recurring question in my posts, what does this have to do with genealogy? As it turns out, it has a lot to do with genealogy. A few days ago, I was working with a patron in the Mesa FamilySearch Library and she had multiple copies of the standard printed pedigree charts where she had entered handwritten entries. There were just a few, among many problems, she had. She couldn't read her own handwriting and she couldn't figure out how the sheets worked together. She was entirely frustrated. Now, we come to the part of the story where Aldus and Griffo come in. Computers do a really good job of both organizing data and presenting it in a way that it is highly readable. In fact, some of the most influential aspects of computers have been in the area of typography and page layout, printing and book production (remember Aldus Pagemaker?). Since we have these marvelous tools, including some of the same typefaces developed by Aldus and Griffo, we should use them to organize our genealogy and make it presentable. I try not to be critical when people come to me with proposed publications for their relatives and the pages are covered with undecipherable hand written notes. Part of our job as genealogists involves communication and it does not happen when the presentation of the research product interferes with its use. I almost never mention this to the people who are showing me their proposed presentations, but I am sure that their relatives wish they had taken a little more care in the production end and provided materials that could be read. When I was in the 7th grade, my teacher commented on my handwriting and said it was one of the worst he had ever seen. From that moment on, I began working on improving my handwriting and can now usually write legibly even in my old age. I was law partners with my father for years and one of the major challenges of those working with him was his completely undecipherable handwriting and to make things more difficult, he refused to type and wrote everything out by hand. I can still remember his notes snaking around the page edges. I guess my plea is to make your genealogy readable. If you can't write cursive, please print. Let's all try to cut down on the inaccuracies inherent in our genealogy by making our notes and presentations legible. With the FamilySearch Research Wiki passing the 75,000 article mark, it is about time to make a statement about the viability of wikis. By the way, this topic also applies directly to the issues raised by several detractors of the FamilySearch.org Family Tree, since the Family Tree is also a wiki-like program. I suppose you could debate whether or not the Family Tree is or is not a wiki, but it certainly conforms to the definition of a wiki, even if it is lacking a few of the more common characteristics of the same ilk. For the moment, I am abandoning the issue of whether or not sharing your genealogical data on a unified family tree is or is not a good idea. There are obviously vocal proponents on both sides of this issue. In this post, I am examining the issue of the viability of wikis and explaining why I believe they work and work well handling and organizing huge databases. In doing this, I am, of course, addressing the issue of whether or not the FamilySearch.org Family Tree program will do or even can do, what it is supposed to do, that is, supply a central clearing house for the world's genealogical data. So what make a wiki tick (or squeak or whatever it does)? As I have said quite a few times before both in print and in classes on wikis, the answer is counterintuitive and relatively complex. In short, there is no simple answer. I guess my initial question would be why do people think that it does not work? I could understand this irrational reaction if wikis were newly minted and just making their appearance on the Web. But the first wikis have now been in operation since 1994, when Ward Cunningham invented the concept and gave it its name (he gave the name "WikiWikiWeb" to both the wiki, which ran on his company's website at c2.com, and the wiki software that powered it). See, of course, Wikipedia: History of wikis. Whether or not wikis work is not something you have to take on faith. We have almost twenty years of experience and the world's wikis are operating very well, thank you. So why do people continue believing the wikis won't work? The response involves human nature and the fundamental beliefs of humans about their own human nature. The detractors automatically assume that allowing everyone access to a database will degrade the quality of the data. They apparently believe that human nature will always produce a flawed product. Ergo, all wikis must be flawed. Actually, the opposite is true. Giving everybody free access to the data ultimately makes the data extremely reliable and accurate. The more data in the program, the greater the ultimate accuracy. In addition, the accuracy of an active wiki improves over time while traditionally managed databases usually degrade over equivalent time periods. Part of the reason is that it is basic to human nature, if given the opportunity, to constantly strive to improve and progress towards perfection. The dichotomy of the destructiveness of human nature as opposed to the view that it is basic to human nature to work towards perfection is one of the most basic of human controversies and has been discussed by philosophers and religious leaders since the beginning of public discourse. As you can tell, I come out on the side of those that believe perfection is possible. See Wikipedia: Perfection. For this seemingly contradictory principle of the integrity of wikis to work, requires a distinction between dynamic or active databases and static databases. If you have a stack of documents (books, photos, etc.) and load a description of each item into the database, the accuracy of the included data is determined at different levels. At one level, the accuracy is determined by the integrity of the data seeded in. Since the database is static, there will be no changes to the data after it is included in the database and so the accuracy, if you will, of the database is fixed at whatever arbitrary level the seed data had obtained. This was one of the basic flaws of the New.FamilySearch.org program. The data set was flawed and there was no way to make corrections. Users could only add more, sometimes contradictory data, thereby degrading the accuracy of the whole until it became, in some cases, totally unreliable. It was unreliable because there was no way to determine which data was accurate and which was not by reference to the program itself. Each user had to determine whether or not the data set he or she was presented with was accurate or not. The only safe tactic in this situation was to assume that all the data was unreliable. This is also a major basic flaw of all online individual user based family trees. I learned this principle in my early university courses in drawing and painting when I was a Fine Arts major. As you began working on a drawing, the more you worked on your own drawing, the less likely you were to see the flaws. You had to stop, put it away for a while and then come back to the same drawing (or painting) to see what you had done wrong. I still find the same thing when I re-read some of my blog posts. It is this process of continued examination that induces progress. Wikis fall into the category of an active database. Entries that are incorrect or simply wrongly entered, can be corrected by anyone who sees the problem. In our modern jargon, this is called cloud sourcing. This also reflects the actual reality of genealogical relationships. The descendants of any given ancestor all have equal access to information about that ancestor. In a sense, this is not collaboration, it is mutual cooperation in a common goal. Collaboration implies voluntary cooperation, in wikis the cooperation is not voluntary. The success of wikis such as the FamilySearch Research Wiki demonstrates the viability of this type of cooperation. However, there is another level to the wikis that is being ignored by the detractors. Wikis can be moderated. In the case of both the FamilySearch Research Wiki and the Family Tree, these are moderated wikis. In both programs, FamilySearch has made it clear that certain types of behaviors are unacceptable. See FamilySearch Wiki:Policies. People who violate these policies can be barred from the wikis. This point has been made over and again during presentations made by FamilySearch representatives talking about the FamilySearch.org Family Tree program. Since I have been actively engaged in moderation of the Research Wiki for some years now, I am in a good position to know whether or not this works. I can unequivocally say that it does work. 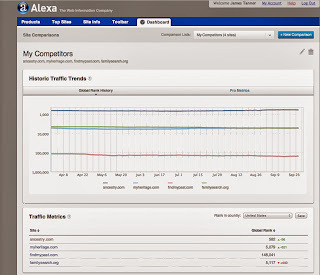 The conflicts about content predicted are possible but is quickly terminated. In those cases one or all of the participants in the controversy can be barred temporarily or permanently from the wikis. Another reason conflicts are rare and can, in the vast majority of the cases, be resolved quickly is that only a very small percentage of all of the people involved in any given topic (or family line) will actually participate in adding and correcting the information. Generally, only the most dedicated and involved individuals contribute and correct. Most of the unreasonable people will not take the time to contribute or even know of the existence of the Family Tree. Now, whether or not you believe what I say is immaterial to the reality that wikis do work. A unified family tree is not only possible, it is a working reality. In my opinion, it is the only presently known practical way to address the huge amount of genealogical data with any assurance that the inherent flaws will be corrected at some point in time. Whether you wish to share your data with the Family Tree is your own personal decision. From my perspective, the loss to the Family Tree will be minimal because it is highly unlikely that your research is in anyway unique or could not be duplicated. But your loss will be immense. You will lose the cooperation of all of your other interested family members, especially those of whom you are not aware. You will also spend considerable time duplicating research done by others. At one time, when the Research Wiki was growing more rapidly in numbers, I tried to add pages on different topics to see if I could be the one to reach the milestone of some arbitrary number. It turns out to be nearly impossible, because you have no idea who else is working on articles at the same time. I came close but missed the number by a few digits. Looking beyond the mere number of articles, the Research Wiki has taken its place as the lead in making sense of the huge number of source records, both on the Web and still paper-bound around the world. When I talk about the Research Wiki with newly minted researchers, I get a variety of responses from cold indifference to overjoyed enthusiasm. Those who are enthusiastic are primarily interested in finding out about their families and willing to spend time learning. Those who are indifferent are impatient with finding names and see no use for a resource that has no names. I have huge stack of genealogical reference books, but all together they are only a very small part of the resources set out in the Research Wiki. Thanks to all those who have contributed over the years and thanks to those who are still contributing. Special thanks to those on the "Support Team" and the FamilySearch volunteers, employees, missionaries and all of the others who have made this phenomenally valuable online resource. Finally, thanks to FamilySearch for allowing this project to grow and become so valuable. Does it all boil down to accuracy? I got quite a storm of comments and blog posts from my recent post on inclusion or exclusivity. One comment in a post entitled "Inclusive or Exclusive? How About Just Accurate?" from Blogger Jenny Lanctot pointed out that "In my opinion, exhibiting professionalism in genealogy doesn’t mean that the folks who are researching only for themselves need to run out and get a degree in history. It means that researchers WANT their research to be accurate." She made several other statements that are starting me thinking, but I thought it interesting to address the issue of accuracy. Presenting the dichotomy between the professional and the beginning genealogist as an issue of accuracy is overly simplistic. Part of the reason for this simplification is the assumption that professionals are de facto more accurate than beginners. Once again referring to my long background in a certain profession, I can say that a professional license does not guarantee accuracy. This of course, brings up the question of who defines a professional. Are "professionals" simply anyone who does good work at a high level of "professionalism." Or is this merely a circular argument? I use lawyers and doctors as examples of organized professionals. In the not too distant past, neither of these current "professions" was at all regulated. In essence anyone could become a doctor or a lawyer by studying for a while and putting out a sign. The process by which these "unregulated" professions became regulated is long and involved, but the end product is that many states have "unauthorized practice" statutes that prevent non-professionals from practicing those "professions." Talking about professionalism in general begs the issue. My point is that genealogy is basically different than either medicine and law and I disagree with those who would move towards the legal or medical type of certification for genealogy. I have also pointed out that this type of regulation is extremely unlikely to happen because of the vanishingly small number of "professional genealogists" compared to other regulated professions. Now, back to the issue of accuracy. Anyone who has looked carefully at a few dozen online family trees immediately realizes that accuracy is a major problem in genealogy. But isn't this just an artifact of a basically populist movement? There is absolutely no threshold of accuracy for submission of any information at all to an online family tree. In fact, if you search some of the online family trees carefully and know what to look for, you will find all sorts of contrived and imaginary family trees, some of which were created simply as teaching examples. I also know several "genealogists" who have been doing research for years that claim pedigrees back to Charlemagne and Adam. Is this accuracy? Now if you equate professionalism with accuracy, you can make the argument that accuracy is good, professionalism promotes accuracy, therefore professionalism (however it is defined) is good. Of course, to get to that point, you have to accept the inherent and assumed definitions of accuracy. Accuracy is a slippery term. You can be completely accurate and completely wrong. The term is used in, at least, two completely different ways. Accuracy in the historical sense means reflecting or conformity to the facts. Accuracy also means precision or exactness in measuring. The second definition does not necessarily relate to genealogy as much as the first. The reason accuracy is slippery is that history doesn't always present us with the facts in a nice, neat package. It is not uncommon that names, dates and even places are recorded inaccurately. So do we copy inaccurate information accurately? Who determines what is accurate and what is not? Don't we come back to the Genealogical Proof Standard, rather than accuracy per se? Focusing on the issue of exact measurement for accuracy, in science and specifically in quantum mechanics, the uncertainty principle is any of a variety of mathematical inequalities asserting a fundamental limit to the precision with which certain pairs of physical properties of a particle known as complementary variables, such as position x and momentum p, can be known simultaneously. See Wikipedia: Uncertainty principle. Accuracy has its limits in science as well as history. Promoting a movement towards accuracy in genealogy is tantamount to promoting motherhood and apple pie, it is a goal no one would rationally disagree with. I preach, teach and expound on accuracy every time I get a chance. But simplifying the issues I raise about elitism to a basic argument about the need for accuracy ignore many of the issues I am concerned with. Genealogy needs more emphasis on accuracy. But accuracy has nothing to do with what was for me the core problem that started this discussion, that is claiming ownership of genealogical information. There is never a last word. What is a genealogical research retreat? I will be attending two genealogical research retreats in the near future. The first is a sold-out retreat in Nauvoo, Hancock County, Illinois October 18th and 19th, 2013. The next one is a retreat at the Family History Library in Salt Lake City, Utah from the 28th of October to the 1st of November. Both of these events are sponsored by Family History Expos. This will be my second retreat at the Family History Library and my first in Nauvoo. I believe there are still a few openings for the Family History Library Retreat. I understand from Holly Hansen of Family History Expos that registration for the next Nauvoo Retreat in April, 2014 will be open soon. You will need to check back on the website or watch my blog for the announcement. A research retreat is basically a chance to get hands-on help in learning research techniques. If you were to visit a place such as Nauvoo, Illinois that is steeped in history, you might not have had the experience of visiting such a place for the purpose of doing research. During the Retreat, there will be experienced and expert researchers there to give instruction, in classes and onsite. We will visit historic sites, but also be visiting the Hancock County Courthouse, local museums and libraries including a visit to the historic Pioneer Cemetery. But this is more than tour, it is an opportunity to learn about the process of doing research. It is true that in two days or so, it will not be possible to do much actual research, but the object is to learn about the techniques of doing research; how to ask questions and setting research goals. The Retreat at the Family History Library is even more intensive. It has a similar format as the Nauvoo Retreat, but for a full week. Every day there are classes in both the morning and the evening. In between, the researchers will get first-hand help from the Family History Expos staff. That staff includes researchers and teachers such as Arlene Eakle. Now, you may not recognize that name, but she is very well known in genealogical circles. She was the co-author of the first edition of The Source back in 1984. She has such a vast amount of experience that after sitting there listening to her explain research principles and sources last Spring in Salt Lake, I was literally amazed and that is an understatement. See Eakle, Arlene H., and Johni Cerny. The Source: A Guidebook of American Genealogy. Salt Lake City, Utah: Ancestry Pub. Co, 1984. There might still be some openings for the Salt Lake Retreat but you will have to wait until next year if they are full. Digitized from the collections of the British Library, the Irish Newspapers Collection on findmypast.com is a rich resource for genealogists in search of their Irish roots. The collection features six newspaper titles (both national and local) covering areas in Leinster, Munster, Connaught and Ulster namely; The Belfast Morning News, The Belfast Newsletter, The Cork Examiner, The Dublin Evening Mail, The Freeman’s Journal and The Sligo Champion. Each newspaper title covers different dates in Ireland’s history with articles from the pre-Famine era to post-Irish independence in 1926. For family historians, the newspapers contain valuable entries like advertisements, obituaries and letters to the editor which provide details on what local and national life would have been like in Ireland hundreds of years ago. Anytime Irish records become more available it is news, actually really good news. If you do Irish research you know exactly what I am talking about. The app is available in the App Store. I was trying out the app and found it did a good job of recognizing my bad handwriting and translating all the Spanish words I entered into English. The dictation part of the app is nothing less than amazing. You can also use it to instantly translate your English or whatever into all of the different languages. You can still use the Translate application on your desktop computer but without the fancy handwriting and voice recognition. Are you a new or less experienced Indexing arbitrator? Would you like to increase your confidence and the quality of your work as an arbitrator? You can now receive personal arbitration mentoring! Family Tree has seen some more refinements in order to make specific features a little easier to use. FamilySearch is also pleased to announce Ages-online, CreateFan , and TreeSeek and are now Tree Access Certified. “Certified” means the product is compatible with FamilySearch.org and has features that conforms to our strict standards of quality. Recent Updates to Family Tree—September, 2013 by Steve AndersonThe last couple of weeks have seen some changes to Family Tree. A few of these features were released in English only. However they are working hard to get the other languages done very soon. Matt explains some of the basics of getting starting with sharing photos on FamilySearch.org and a new social link from the Photos program. More from Matt about the features and benefits of the FamilySearch Photos program. The Find feature in FamilySearch Photos and Stories allows you to search family names, place-names, or any other keyword found in the titles and descriptions of our large and growing collection. 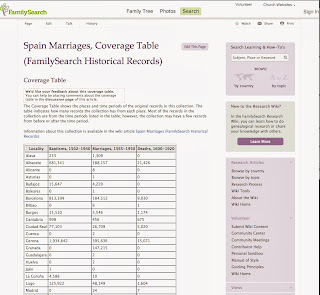 FamilySearch has recently added more than 2.7 million indexed records and images from Brazil, England, Germany, Italy, Mexico, Peru, Portugal, Spain, and Switzerland. 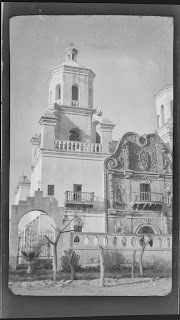 Notable collection updates include the 1,459,211 indexed records and images from the England, Derbyshire, Church of England Parish Registers, 1538–1910, collection, the 534,245 indexed records and images from the new Mexico, Aguascalientes, Civil Registration, 1859–1961, collection, and the 172,333 indexed records from the Italy, Napoli, Civil Registration (State Archive), 1809–1865, collection. 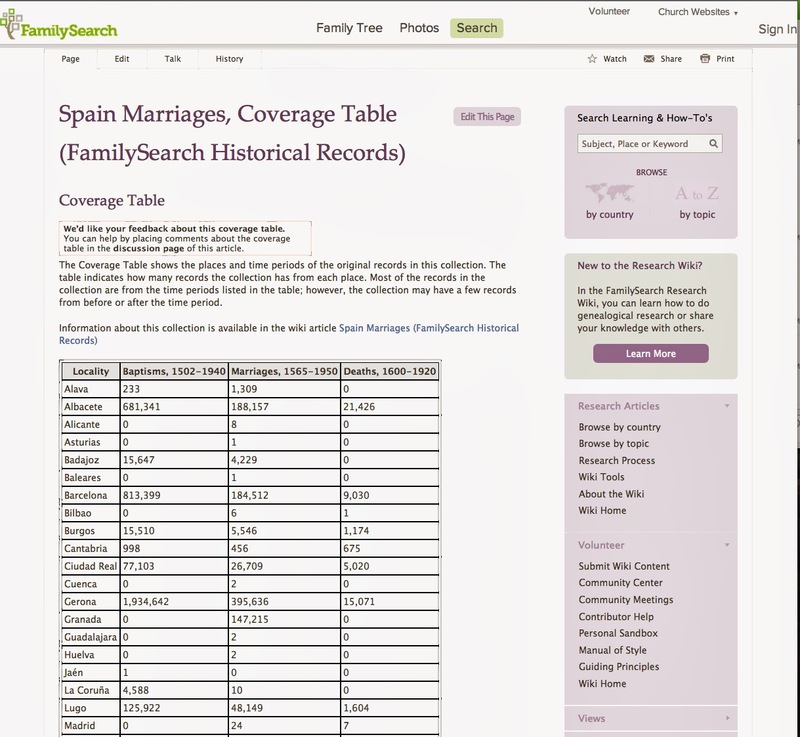 Search these diverse collections and more than 3.5 billion other records for free at FamilySearch.org. A feature article on cemetery experiences. Is Genealogy Inclusive or Exclusive? United States vs. USA - Tradition or Covention? But they don't know the territory! Is a unified online family tree program possible? Copy and Paste Genealogy -- Is this the future? What Source Records Are Left to Digitize? Can we even have standards for names? When do I upgrade my computer or my devices?